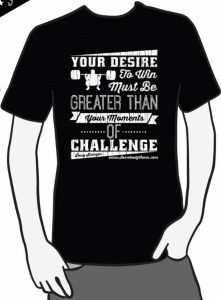 Desire to Win t-shirt features an exclusive quote from Doug Stringer that reads; “Your desire to win must be greater than your moments of challenge”. 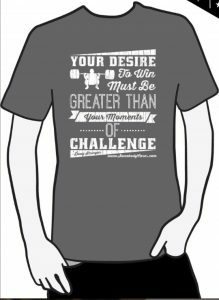 This shirt is a women’s fit. All proceeds go to help serve the needs of people around the world through compassion acts.